Our lovely marketing manager Nicola Gray celebrates the publication of the paperback edition of Chickens Can’t See in the Dark by sharing a whole host of weird and wonderful chicken and carrot facts. 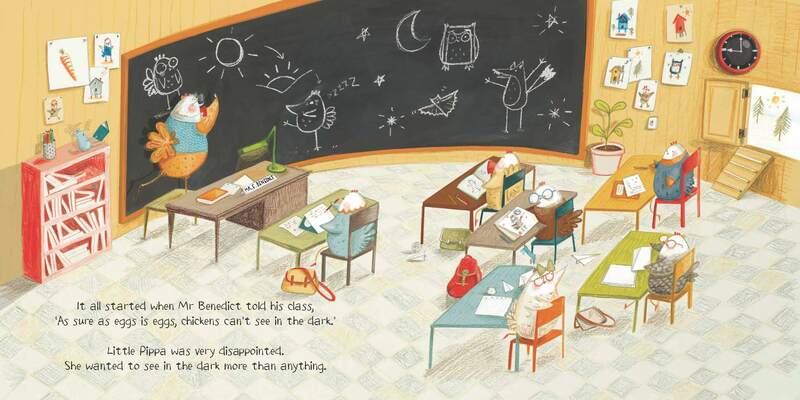 This month we are celebrating the publication of Chickens Can’t See in the Dark in paperback, a fun story with the added bonus of encouraging kids to eat their carrots! 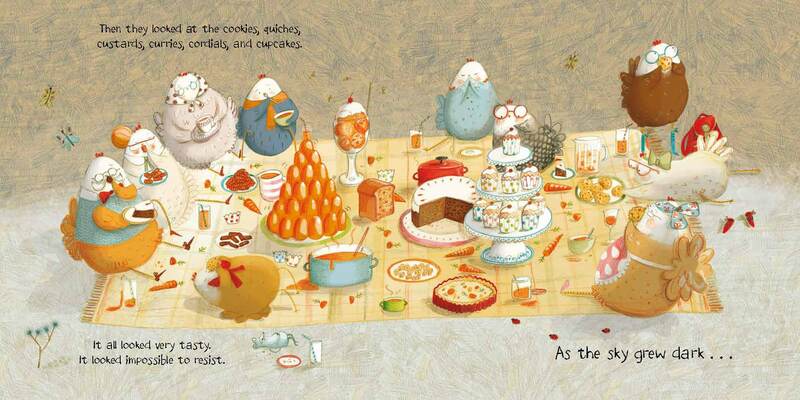 It’s the tale of a plucky young chicken called Pippa and her quest to find the truth behind the Old Hens’ tale that chickens cannot see in the dark. Pippa stumbles upon the theory that carrots are the answer to her chicken conundrum and that a feast of carrots is all that is needed for night vision. But can carrots help you to see in the dark? It’s not just chickens who have believed that munching carrots have this beneficial side effect. During the Second World War, Britain’s Air Ministry spread the rumour that eating carrots helped their pilots to see Nazi bombers attacking at night. Although experiments had been conducted into carotene contained in carrots and night blindness, no enhancement of night vision was found. In fact, this rumour was used to cover the Royal Air Force’s latest radar equipment to prevent the Germans from finding out about their new technology. The lie was so convincing that it spread amongst the English public who began to grow and eat more carrots to help them to navigate more easily during blackouts. So there we have it, it’s a myth. Or is it? Carrots are known to contain lots of Vitamin A, an important vitamin for healthy vision, so there is an element of truth in Pippa’s carrot theory. Did you know that the world’s longest carrot measured 5.841 m (19 ft 1.96 in) and was grown by Joe Atherton, for the UK National Giant Vegetable Championship in Somerset? Eating three carrots can give you enough energy to walk three miles. I’m not personally volunteering to try this one, if anyone else does please do let me know if it’s true. Carrots can be found in colours other than orange. There are varieties in purple, white, yellow, and red. The record for the largest amount of carrots peeled chopped in one minute is held by James Martin. He peeled and chopped 515 grams of carrots for a Children in Need special of Ready Steady Cook. Off on a slight tangent, did you know that the fastest marathon dressed as a vegetable is 3 hr 09 min 21 sec and was achieved by Michael Neville dressed as a carrot at the Virgin London Marathon on 25 April 2010? The scientific name for a chicken is Gallus domesticus. The word chicken is of Germanic origin. Believe it or not, according to one article, the chicken is the closest living relative of the Tyrannosaurus rex. Chickens are not capable of sustained flight. Rubber chickens however are! A group of students in California sent a rubber chicken to an altitude of 120,000 ft to test the levels of radiation it would be exposed to. It’s all well and good sharing these facts with you, but I now have an intense craving for carrot cake. I’m consoling myself that it must count as one of my five fruit and vegetable portions for the day. Or at least might help me see in the dark. 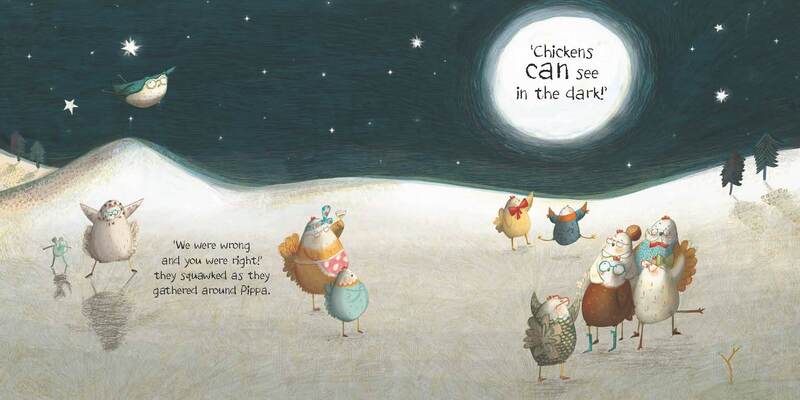 Chickens Can’t See in the Dark is out now in paperback, hardback and eBook format. Next time I have three miles to walk, I know to take three carrots. Carrots: the solution to global warming?